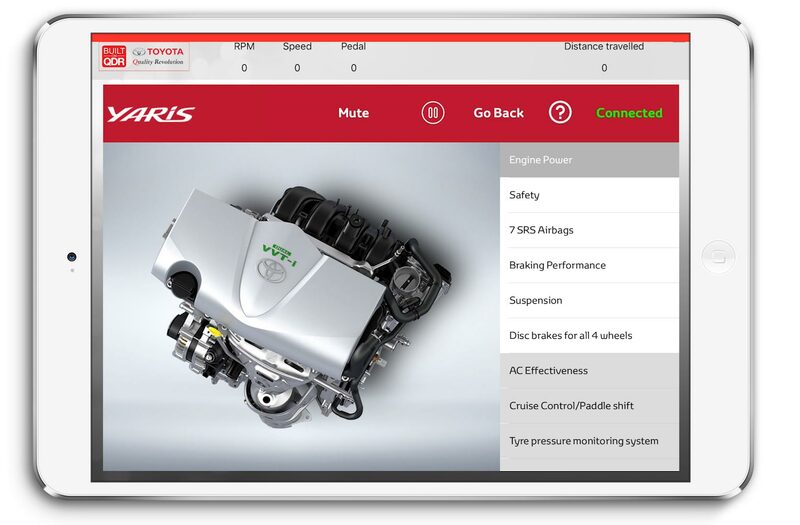 The Application which an iOS based state-of-the-art technology, designed for iPad Devices is connected to the vehicle through an OBD (On Board Diagnostic Device) to make it interactive with the vehicle driving pattern. Thus the features are automatically triggered based on the driving response. 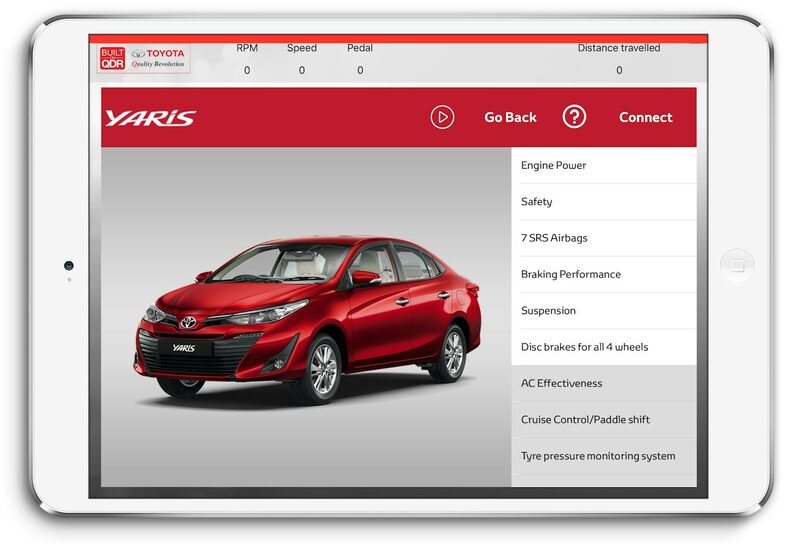 Toyota Kirloskar Motor (TKM) today announced the launch of a Test Drive Application to standardize the Test Drive Process across Toyota dealerships in India. This is the first of its kind initiative in the industry which explains the key product features while the customers go for their test drive, enhancing their overall driving experience. We at Toyota continuously strive to understand evolving customer needs, to offer newer and better driving experience beyond traditional vehicle transport. Keeping in mind changing customer lifestyle, we have introduced this application to further streamline the test drive experience at dealerships and strengthen the customer connection to the brand – converting one-time product sales into long-term service-oriented relationship. 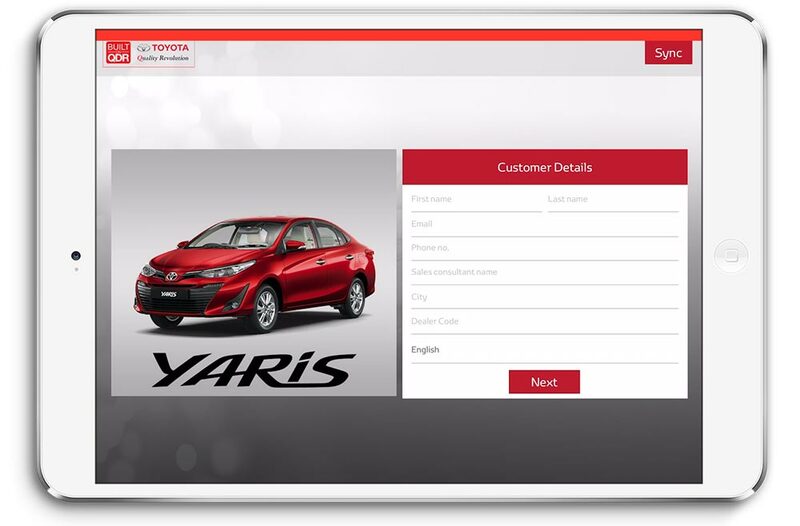 With booming digitization, we entered this space through Paperless Customer Information Capturing in the Pre-Sales Area and Toyota Connect in the Post Sales Area. We are expanding our horizon introducing the First in Industry Unique Digitalized Test Drive Application aiming to standardize the product explanation during the Test drive and make the experience more exciting. The interactive feature lends a ‘human touch’ to this application, thus making it unique. This App is connected to the vehicle through an OBD (On Board Diagnostic) Device to make it interactive with the vehicle driving pattern. Currently this app is available at select Dealerships in key cities [Bangalore, Delhi, Mumbai] and will be subsequently launched in all cities.